The ADJ Royal 3D II offers intelligent laser features, featuring green and blue beams with the popular "laser sky" effect, along with new dynamic programs that will light up the dance floor. Scorpion Dual (Green) provides you with dual green FAT BEAM aerial effect lasers, perfect for events with fog or haze. The ArtFox Flex Beam K8 is a perfect choice for a small to medium dancefloor, emitting spinning, tight beams of multi-colored LED light. The Chauvet Freedom Par Quad 4 is a 100% wireless, powerful yet compact quad-color LED fixture ideal for colorful accents or ambient wash lighting. ETC Source 4 LED Leko - 36 deg. The ETC Source 4 is an industry-standard ellipsoidal spotlight, used in stage lighting or general-purpose event lighting where warm white light is required. It features interchangeable lens tubes for a variety of field angles, a rotating barrel and a three-plane shutter blade assembly that allows you to shape the beam as needed. 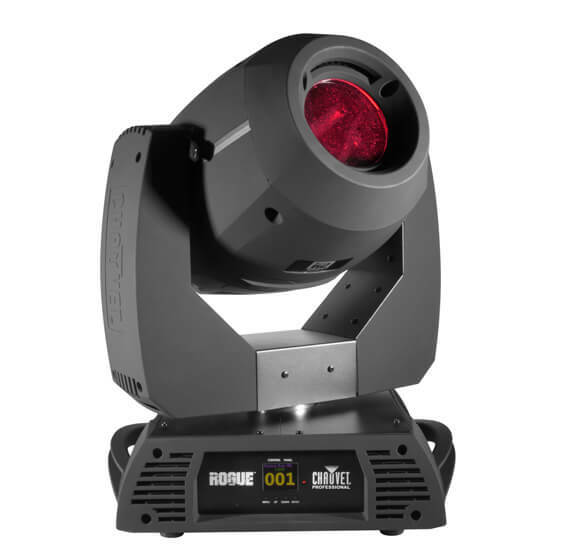 Our inventory of Source 4's are fitted with the Source 4WRD LED retrofit for the same powerful light output as the traditional lamp burner, with the added advantage of cool and efficient operation.